On Friday, November 11 German TV channel RTL will broadcast “Die Ultimative Chart-show” with Roxette as the special guests. Roxette are said to perform “Speak to me” single. “25 Jahre Kuschelrock – Die große Jubiläumsshow” is a special episode of the programme that will celebrate 25 years of the well-known CD compilation series called “Kuschelrock”. 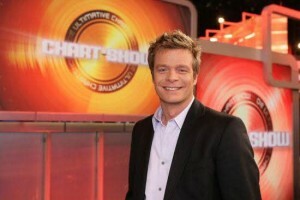 This evening, German channel RTL will have Roxette once again on their TV show “Die ultimative Chart Show”. Roxette is seen performing (playback) their evergreen “The Look”, recorded in February when they also performed the current single “She’s got nothing on (but the radio)” for another episode. Motto of tonight’s show is “the most productive acts of all times”, broadcasting starts at 21:15 EST. The Chart Show had between 3 and 3.5 million viewers in the last season. Normally the episodes get broadcasted again after some months or even years. The show’s concept is a song countdown with videoclips based on the German charts/sales according to the motto. Some celebrities are talking and commenting the songs on a couch, while a couple of show acts perform on stage. See the video of Roxette’s “She’s Got Nothing On” performance here!